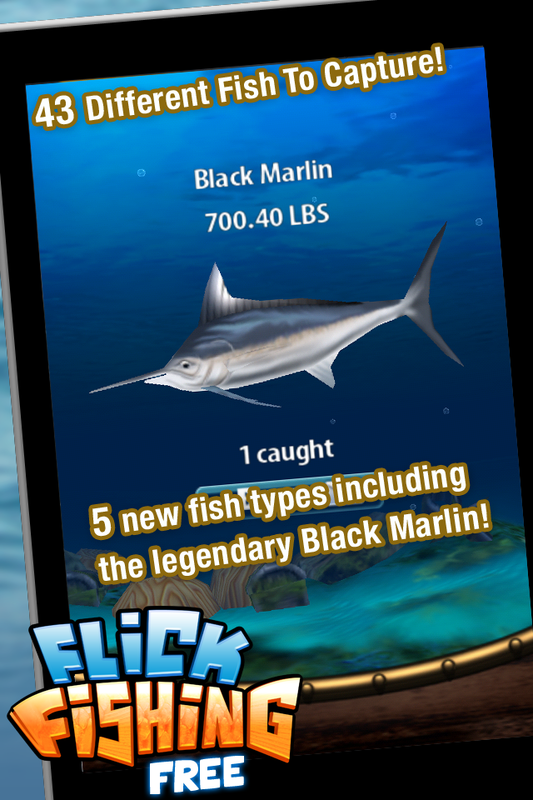 ☆ The most popular Fishing game on the App Store -- FREE! ☆ Join over 2 Million paid Flick Fishing customers! 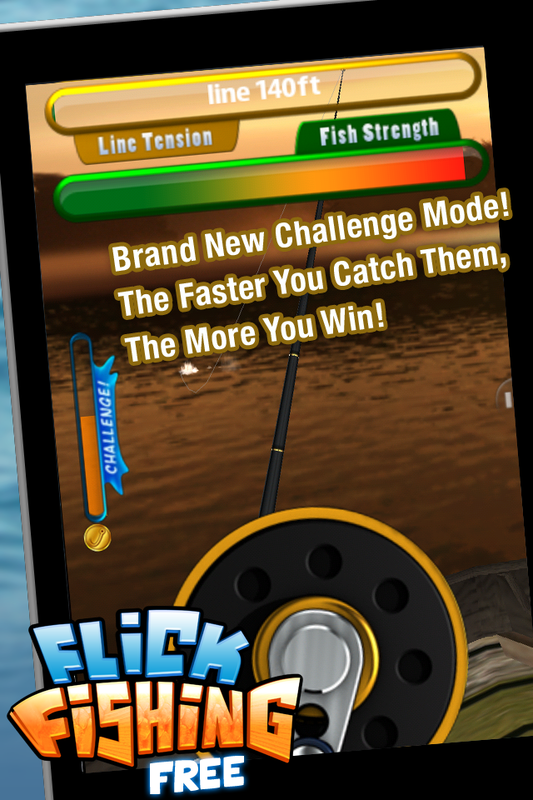 Fight the toughest fish and land record-breaking catches! Fully animated "living" environments combine with intuitive real-life controls create the best fishing game available on the App Store! 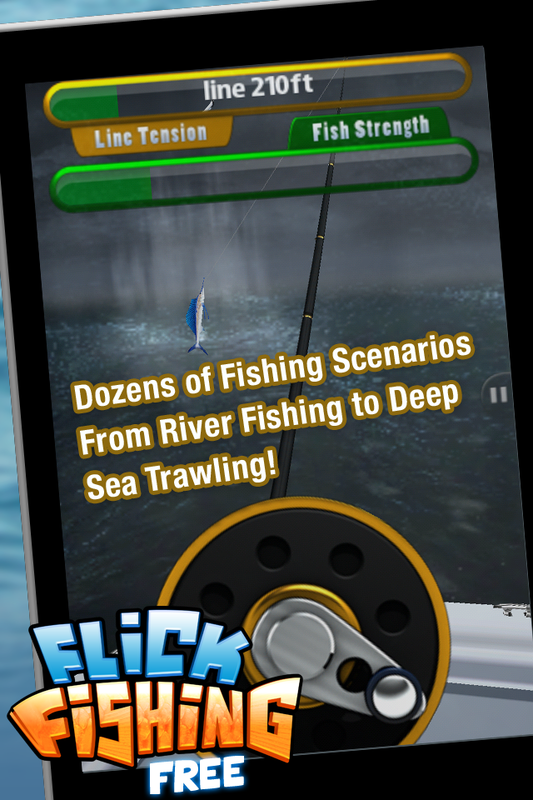 Try out Flick Fishing Free now! Cast the line with a just a flick of your wrist. 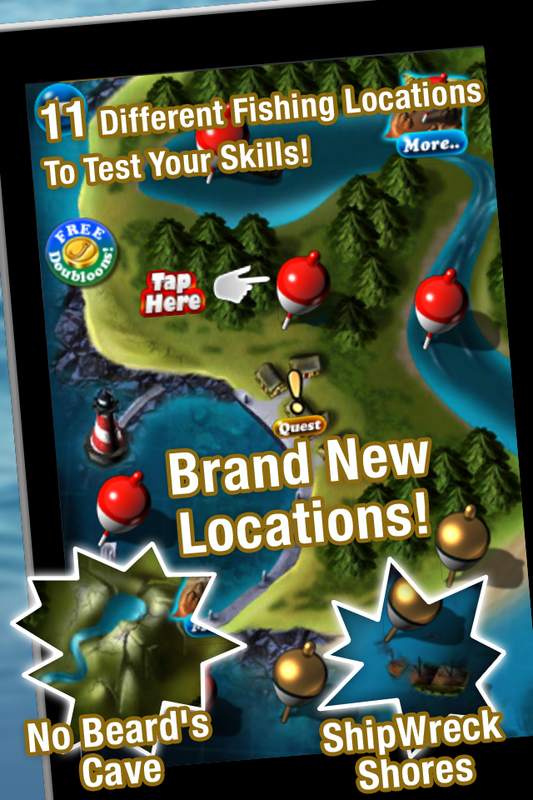 With a skillful combination of bait, location, and technique you'll hook a fish -- now you just need to reel it in! Reel carefully to avoid snapping the line and losing your fish. Larger fish are strong, and won't be hauled in easily! 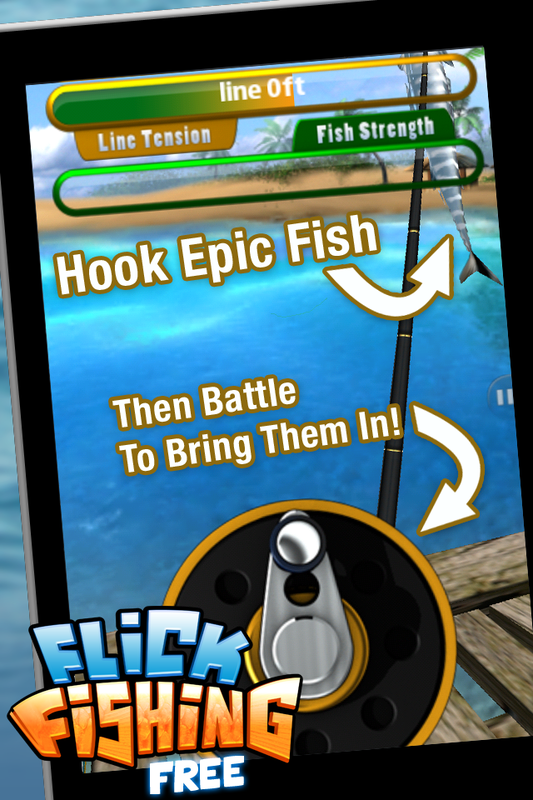 With 11 diverse fishing locations, a vast assortment of fish to catch, and challenging quests and unlockables, Flick Fishing Free is an unrivaled fishing simulation and just plain fun. ☆ All New Doubloon system for a whole new level of competition! More Games by Freeverse, Inc.